The Guyana Police Force (GPF) is continuing to lay the blame squarely on the Police Service Commission (PSC) for the delay in promoting police ranks. The PSC has already notified the Police Force that promotions would not be known until February, 2016. In a statement, the force said Police Commissioner Seelall Persaud in October 2015 immediately dispatched the personal files of Officers, Inspectors and Sergeants to the PSC at its request. The PSC had also requested that identified ranks report to the Service Commission since then and this was complied with immediately. However, the Police Service Commission never requested the recommendations for promotion from the Commissioner of Police until during December 2015 and this was acted upon. The Guyana Police Force also wants the PSC to clarify to the public which section of the Police Act states that promotion is dependent on a rank passing the Appropriate Qualifying Examination. 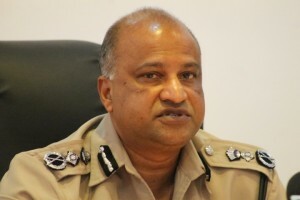 According to the police force uring January 2015 the Commissioner of Police had written the Chairman of the Police Service Commission for information on the criteria used by the Service Commission in making promotions in the Police Force, in order to guide the Force Administration in making recommendations, but has not received any response to date. “For that very reason, and taking into consideration the fact that the Service Commission had sent for the personal files and interviewed a number of ranks, the Force Administration did not volunteer a list of recommendations for promotion until it was requested,” said the police force.